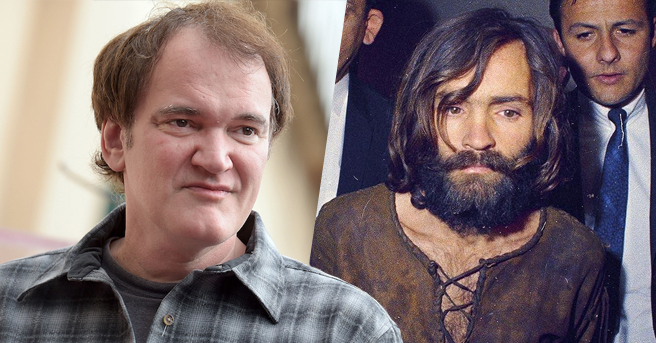 "Quentin Tarantino is quietly starting to put together his latest project, and is talking to A-list actors for what is promising to be a unique take on the Manson Family murders. The project, whose title is unknown, was written by Tarantino, who would also direct. Harvey and Bob Weinstein, who have produced and executive produced the previous Tarantino films, are involved, sources tell The Hollywood Reporter. Sources say that Tarantino is putting the finishing touches on the script and that Brad Pitt, who worked with the filmmaker on Inglourious Basterds, and Jennifer Lawrence have been approached. Studios could receive the package after Labor Day, according to one source. The plan is to shoot in 2018, possibly in the summer. Script details are fuzzy but one of the stories centers on Sharon Tate, the actress and wife of director Roman Polanski who was murdered by Charles Manson and his followers in 1969."